Whenever the Kids and I watch a post-apocalyptic movie, whether it be due to zombies, virus, war, alien invasion, or lack of natural resources, we kick around our plans as to how we would survive and where we would meet up when the time came. While we don’t really take it too seriously, our plans always revolve around grabbing our backpacking gear and heading for the hills. 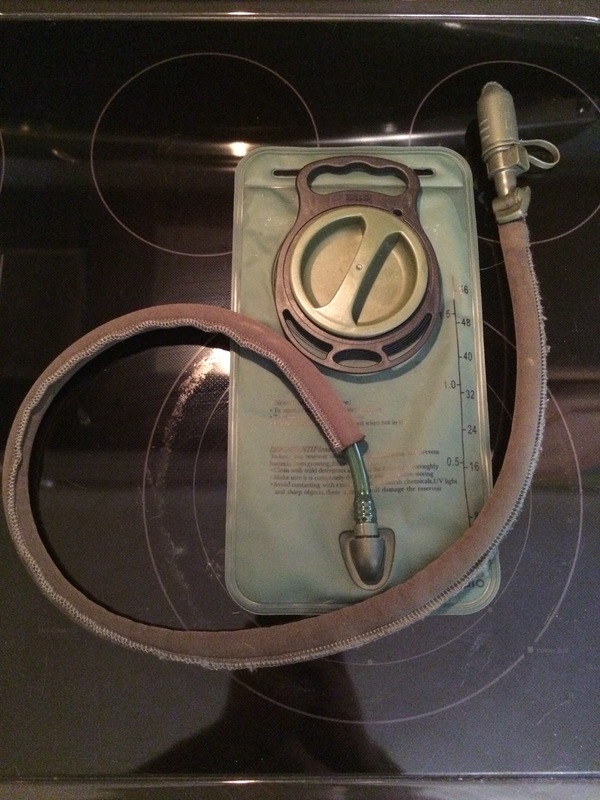 I do generally keep my backpack mostly filled and ready to go - just needing to double check my fuel and food supply, and pack up my sleeping bag; but, I keep the bag in the basement and that is still 5 additional minutes of prep time that I might not have in a true crisis. 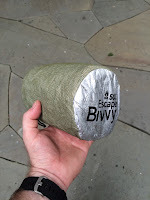 I started to think about it, and I realized that I have enough spare backpacking and camping gear to fairly easily put together a proper bug-out-bag (BOB). 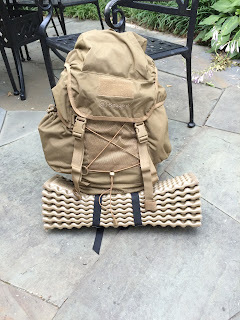 I’m already used to keeping a field-bag in the back of my car for work (I’m a geologist, and still get in the field occasionally), and adding a bug-out-bag would not take up too much additional space. 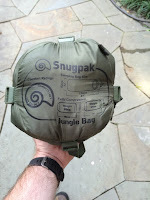 Snugpak Sleeka Force 35. 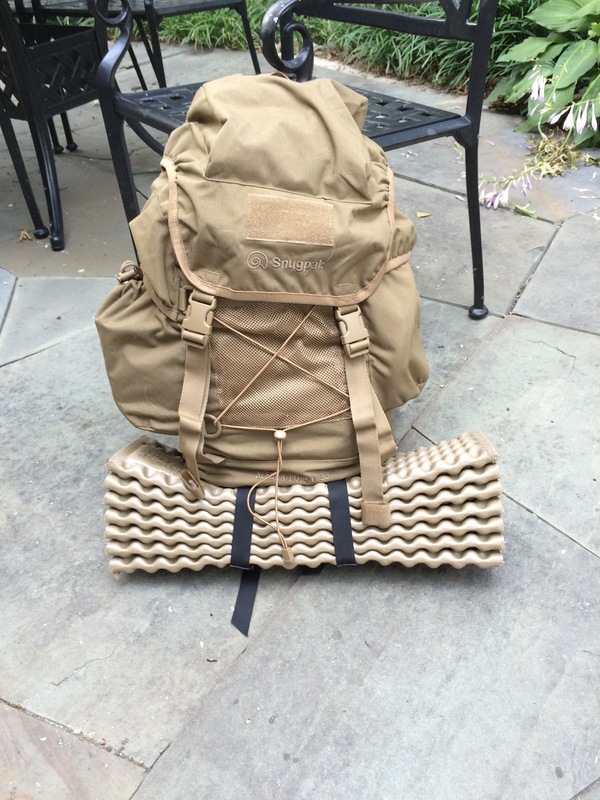 This military-grade, civilian pack is rugged, comfortable, and has a great layout of pockets; plus, it is set up to allow my sleeping pad to be strapped to the bottom. Let’s not skimp here - I’ll use my Jungle Sleeping Bag (also from SnugPak). 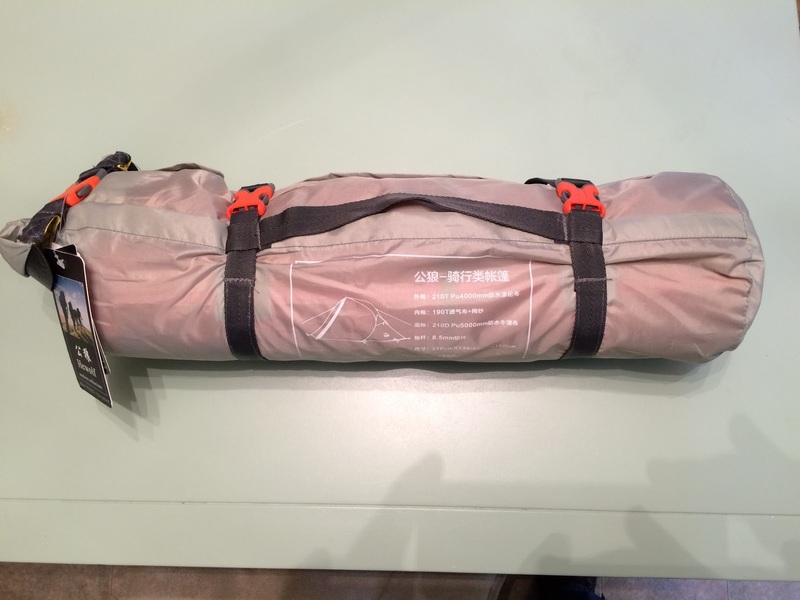 It’s small, lightweight, and comfortable down to the mid 40-degree range, and has a built in mosquito net. Of course, add my spare Therm-a-rest Z-lite pad for comfort and insulation. I’ll also throw in a small SOL breathable escape bivvy for added warmth in cold weather and as a back-up shelter. In case the apocalypse lasts longer than a few days, I want more than just a tarp for shelter. My first thought for a shelter was to use a tarp-style tent with no floor, since the jungle bag has a bug net; but my Mini Peak 2 pyramid tent is my go-to backpacking tent and I didn’t want it to do double duty. I figure that a small freestanding tent will give me flexibility for pitching. 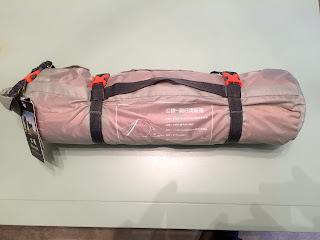 So, I purchased an inexpensive Hewolf one-man tent, which is a two-pole setup that is rated for 4-season use and is not too heavy; and the specs looked really good. I’ve been interested in getting one for a while, so this was a good excuse. A mid-size (1.5L) Condor soft hydration reservoir/bladder - coupled with a Sawyer mini-Squeeze filter (I swear by my full-size Squeeze unit). 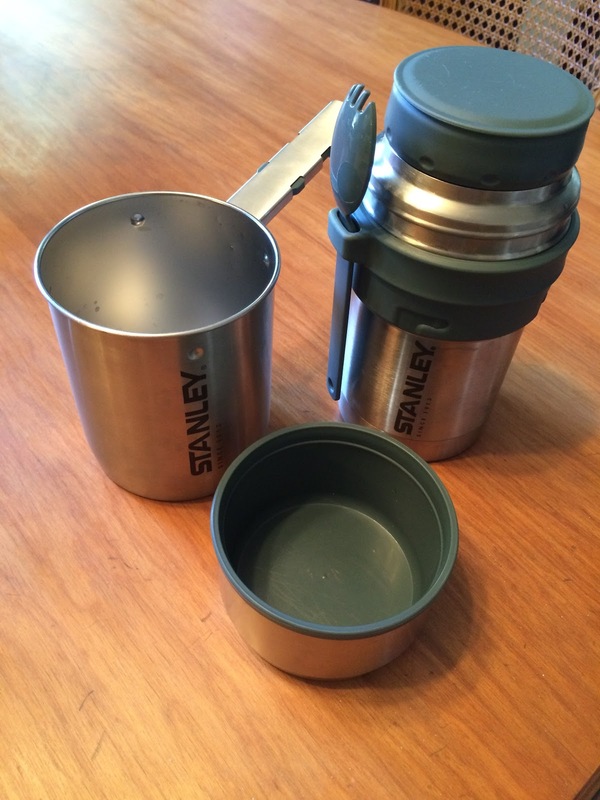 Add in a stainless steel vacuum thermos to use as a water bottle, for keeping water from freezing in the cold, and to allow for retained heat cooking if desired (actually, the Stanley 20 oz Mountain Vacuum Cook System is perfect, see below). Here we want reliability, simplicity, and compact size. My Esbit Ultralight Folding Stainless Steel Potstand and Windscreen; and Esbit fuel tabs provide the heat. The fuel tabs can also be used as a backup firestarter. The Stanley Mountain Vacuum Cook System includes the vacuum thermos (discussed above) that nests inside a folding-handle pot, and includes a spork and cup. Throw in some Coughlan Storm Matches and a handkerchief, too - all set. 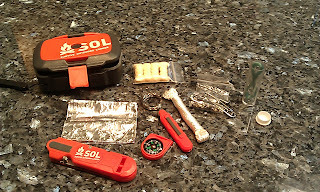 I looked for a pre-made kit from Survive Outdoors Longer (SOL, they are also the Adventure Medical Kit folks), but I didn’t find a single kit that covered all my needs, so I’ll use two. First is the SOL Origin Survival Kit - it has a knife, whistle, flashlight, compass, signal mirror, Firelite firesteel, Tinderquik firestarter, mini fishing kit, aluminum foil, stainless wire, nylon string, and sewing needle with safety pins. 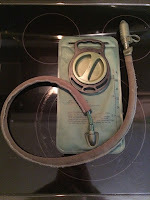 Second, an Adventure Medical Kit .5 - less than 4 oz., and it covers all routine first-aid needs in a waterproof pouch. The only other thing that I’ll add is a few HotHands warmers for cold weather comfort. No need to be savages, even in an apocalypse. A little TP and a small trowel for when nature calls. A small container of Dr. Bronners soap covers almost all cleaning needs - shampoo, hand/dish soap, toothpaste. Don’t forget a travel toothbrush (it’s small). I need some saline and a contact case. And finally, some sunscreen, and bug spray. Just the basics - a headlamp, spare batteries, some paracord, and a fixed-blade knife that does multi-duty for cutting, chopping, slicing and defense. 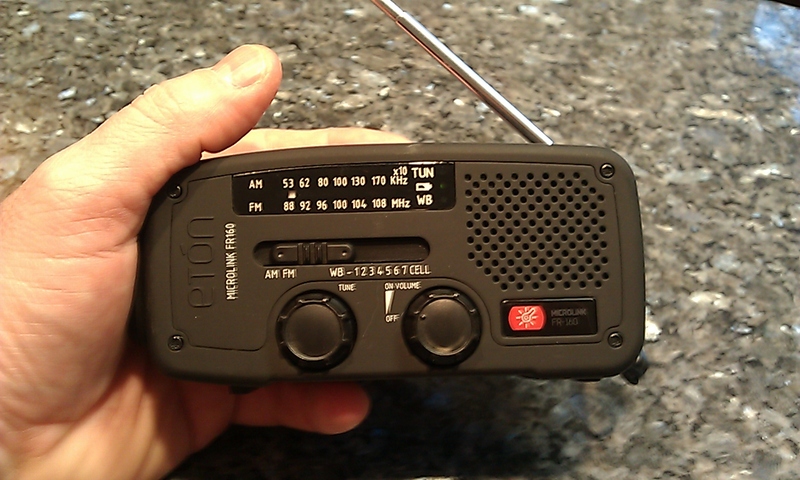 Also, a small solar/windup radio for news from the outside world - if there still is one. Beyond the clothes on your back, it would be nice to have some spare socks, a hat, gloves, rain poncho, and some sunglasses. The last thing on my list. Enough for 3 days. No bear canister or bear bag - just a gallon-size ziplock bag. For drinking, I’ll add 3 tea bags, 3 instant coffee packets, and 3 packets of EmergenC. Three packets of oatmeal will cover a few meals. Some fig newton bars hold up well and make for a good snack. A packet of Idahoan potatoes and a packet of Knorr Sides will each last a couple of meals, and have a great shelf life. Add an extra ziplock for left-overs. Then for some added protein, a couple Spam singles and a packet of tuna salad. That’s actually a pretty slim 72-hr food pack. Once I finish compiling my Bug-Out Bag, I’ll give it a test run on a 3-day backpacking trip to see how it really works out. Then, I’ll prep bags for the wife and kids, too. I’ll also add a map of our rendezvous spot, so no-one forgets. I’ll let you know how it goes, unless the apocalypse comes first.